Please sir, may I have some more pets? I am Oliver the orphan, looking for my new family! 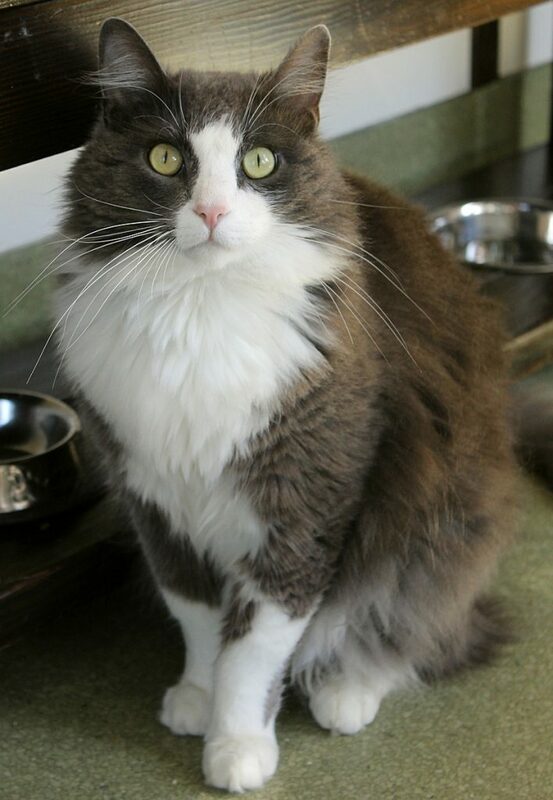 I am a gorgeous and amicable 2-year-old fluffy boy kitty who was found out in the countryside. I know I had a loving family before, because I’m extremely nice and although I can be a little bashful, I do enjoy the company of people and other animals alike. I’m really respectful towards other kitties, but am a bit on the shyer side when it comes to feline friends, so really confident kitties are a little over-whelming to me — even though I’m bigger than most of the cats I meet! I’m a good sized cat at about 13 pounds, but my fluffy coat makes me look a little larger. I love brushing and keep myself nice and groomed, so I am pretty low-maintenance. My wonderful temperament makes me a good candidate for almost any home — so what are you waiting for? Won’t you come take me home? I can’t wait to meet you! I’m currently residing in the cattery at Pixie and I come to you fixed, vaccinated, and micro-chipped for an adoption fee of $100.